Fenian martyr or common criminal? 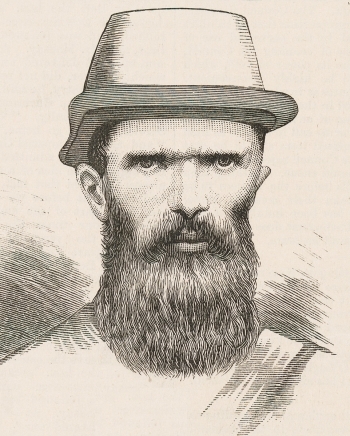 Ned Kelly is a celebrity in both the Australian and Irish republican canons of heroes. In Ireland, he is honoured as a Fenian martyr who bravely carried on the nationalist fight against the English and Protestant oppressors in Victoria. He was an Australian by birth and heir to his parents’ view of Irish history. Ned’s version of Irish and Australian history was archaic and informed by prejudice and outdated sentiment. In his hands, this history was strongly fanatical and violent in expression. He was out of step with the 1870s aspirations and progressive views of the majority of Irishmen in both countries, who favoured the 19th century Liberal way forward of Home Rule for Ireland, overturning the Irish landlord-tenant system, and championing freehold landownership in Australia, each of these goals being attainable under the mantle of the British Empire. Ned had a clever way of tapping into earlier Irish grievances. 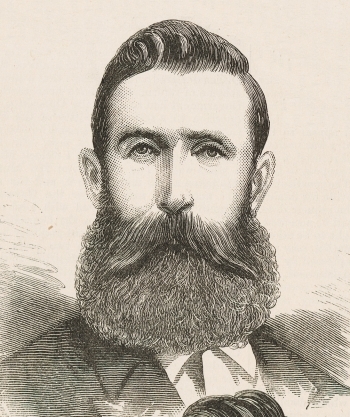 His Jerilderie Letter (1879) protest was against the cruel tyranny of the English, the ‘Saxons and Cranmore yoke that has destroyed, massacred and murdered their [Irish] forefathers by the greatest of torture, such as rolling them downhill in spiked barrels, pulling out their toe and finger nails and on the wheel’. The police were, to Ned, ‘big ugly fat necked wombat headed big bellied magpie legged narrow hipped splaw footed sons of Irish Bailiffs or English landlords which is better known as Officers of Justice or Victorian Police’. [M]ore was transported to Van Diemen’s Land to pine their young lives away in starvation and misery among tyrants worse than the promised hell itself. In those places of tyranny and condemnation many a blooming Irishman rather than subdue to the Saxon yoke, were ﬂogged to death and bravely died in servile chains, but true to the shamrock and a credit to Paddy’s land. The shamrock Ned described ‘as the emblem of true wit and beauty’. Even today these words strike an evocative chord with Australians of Irish descent. Ned’s father Red Kelly, was transported from Tipperary to Van Diemen’s Land for seven years in 1841 for stealing two pigs from a poor farmer and his wife. Shortly before this, he was mixed up in cattle theft and turned police informer against his associates to save his own skin. There was nothing political or ennobling in Red’s crimes; he was a common criminal, not an Irish rebel hero. The fireside stories he told his sons and daughters of his life in Ireland were, no doubt, tinged with an imagined political legitimacy that made him appear a victim of English and Protestant injustice. His son Ned later proudly said of his father: ‘I am the son of Red Kelly and a better man never stood in two shoes’. This was a favourite expression of Ned’s; he used it whenever he wanted to intimidate or threaten and it worked well in pub challenges and bushranger performances. From Red’s Irish stories and tales of his life as a convict, Ned drew inspiration that fuelled the Jerilderie Letter blarney that is so fondly remembered today as his Irishness personified. Ned also heard stories of Ireland’s recent past from his mother’s relatives, the Quinns. There was nothing sophisticated or analytical in the telling of these stories. They were presented from an Irish Catholic perspective and were emotional tales of hatred and revenge directed at the English and Protestant ascendancy in Australia and Ireland. There is no indication that either Red Kelly or the Quinns did anything more than tell lurid, horror stories and pass on to their children the tragedy of Ireland’s past history. It was the Irish heritage overlay of the Kelly Clan’s colonial life, passionately remembered, spoken about around the kitchen table and raised to the realm of folk imagination, as the Quinns and Kellys pursued crime and a shanty lifestyle in colonial Victoria. The English, the police and the convict past were at the heart of Ned’s deep-seated prejudices. He dwelt on past iniquities in Ireland and convict Australia, wrongs remembered and spoken about with resentment by all Irishmen. But most Irishmen had moved forward, embracing the colonial present and Irish political and charitable causes advocating a nonviolent agenda. A republican myth has taken root in Ireland and Australia that misrepresents 19th century Irish political sentiment in both countries as dominated by Fenian violence and disorder. This is a grave distortion. Fenianism had only a minimal influence on the Irish and colonial Irish during the turbulent Home Rule years from 1870 onwards. The fondest hope of most Irishmen and women during this time was pinned on Charles Stewart Parnell and his Parliamentary Constitutionalists. It was different in America, where Fenianism and conspiratorial rebellion was the preferred method to achieve Ireland’s independence. There were colonial Irishmen of violence and spoken rebellion around during Ned’s lifetime, yet they had a muted message to deliver. 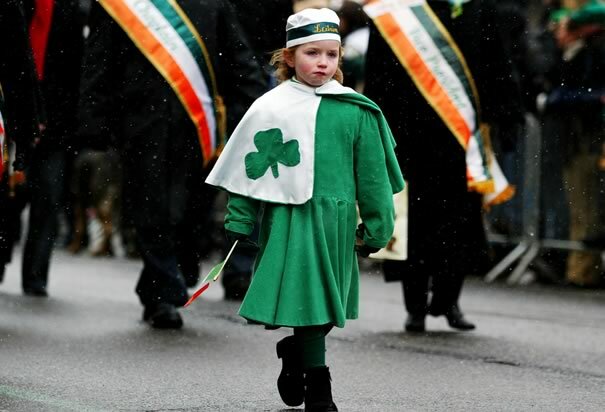 Republican Ireland was not born until the Dublin Easter Rising in 1916. In his Jerilderie Letter, Ned proclaimed Whitty and Byrne as his enemies. They were Irish immigrants, honest, respectable and Irish Catholic to the core. Like Ned’s lawless relatives, they arrived in Australia illiterate and penniless, but they had a strong determination to succeed and a cherished dream of a better future. Years of hard work, thrift and sacrifice followed in and around Melbourne before they took up farming properties at Moyhu near Wangaratta. The Whittys and Byrnes each settled on the land as an Irish clan family group and worked together to advance themselves and the fledgling pioneer community. Ned was jealous of both families’ clan solidarity and hard-won farming success. The Kelly Clan pursued a different course, focussed on crime and shanty good times, neither settling on adjoining farms, engaging in honest work or following a respectable lifestyle. Clearly the law-abiding Whitty and Byrne families have a far better claim to typify representative Irish experience in Australia than Ned and his lawbreaking relatives. The Whitty and Byrne children shared their parents’ sweeping view of colonial opportunity and expressed a practical love for Ireland and Irish causes that seems to have bypassed Ned and his unruly relatives. For the Kelly Clan, it was about bottom-of-the-glass Irish patriotism and speaking angry words. There is no evidence that Ned and his relatives contributed to Irish political or charitable causes or did more than drunkenly boast of breaking the English chain. In collecting money for the Irish National Land League and its nonviolent crusade against exorbitant rents and oppressive landlords, Whitty and Byrne’s daughters Kate and Jane told a Melbourne newspaper reporter: ‘Although we never saw the Emerald Isle, our love for it is as strong as our parents’. Ned’s vision of Irishness on the other hand was backward looking, vengeful in the extreme and no more than rhetorical bluster. In Ireland, which many of you still call your home a tyrannical government forbade Catholic education. In Victoria we are fighting under more favourable circumstances. We have not such savage means to contend with as were made use of in Ireland (where) Protestants used confiscation, imprisonment and even death. In Victoria we have much to fight against, viz. an infidel, an intolerant and tyrannical parliament but we will not be oppressed. Religious sectarianism of the Moyhu variety was customary on Irish tribal occasions. In broader community forums, attended by other denominations, less inflammatory language was required. Although racial and religious harmony and cooperation was not always possible in colonial Victoria, it was nevertheless the community ideal advocated by the majority of colonial Irishmen. The angry rhetoric of cultural heritage existed side by side with a more tolerant and pragmatic attitude to race and religion. This was particularly true of isolated pioneer communities, where the practical need for cooperation was at its greatest. The Catholic weekly newspaper The Victorian captured the mood of Victoria’s Irish population admirably. We have no wish to plant the shamrock in a different bed from that which bears the thistle and the rose. No; let them twine together in one common wreath, to represent the feelings which should and do animate the hearts of all true Irishmen. 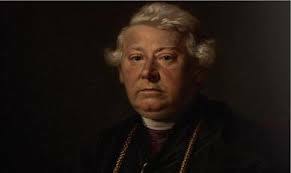 Catholicism, for Ned and his disorderly relatives, was an emotional nostalgia rather than a practical religious obligation. A cultural identity mixed with Irishness and a penchant for crime produced their ‘bog Irish’ attitudes. There were many respectable, law abiding Irish Catholics in the Greta, Glenrowan and Moyhu communities, who took their religious and civic responsibilities seriously. The Kelly Clan were not among them; they were indifferent Catholics who rarely attended confession or Sunday mass. Their children attended Catholic schools but were always associated with the needy and charitable end of Catholic activities. Baptisms, weddings and funerals were pretty much the extent of the Kellys’ religious observances and not always in a Catholic church. Ned’s mother Ellen’s second husband, George King, and his sister Maggie’s spouse, William Skilling, were Protestants and both Kelly women were married in the Primitive Methodist Church at Benalla. Ned’s elder sister Annie married a Protestant in the Wangaratta Catholic church. The Kellys paid no more than lip service to their ancestral religion but declared themselves Catholic when it was advantageous for them to do so. Despite some obvious similarities between the Kelly Gang and its bushranging forebears, significant differences existed between the earlier and later bushranging gangs. Convict bolters, many of whom were Irish, roamed the bush, dispensing violence and mayhem wherever they went. They plundered the settler community and shot without hesitation at those who opposed them. Survival and ‘hard man’ revenge against the colonial system motivated these escapees from convict chain gangs. In the 1820s the Wild Colonial Boy, Irish convict Jack Donohoe, who legend attributes with uttering the famous bushranger words ‘I’ll fight, but not surrender!’ took to the bush. Jack Donohoe represents the archetypal image of the bold bushranger. Every bushranger who followed paid lip service to Donohoe’s defiant words. The winding down of the convict system and the goldrush era of the 1850s and 60s changed the face of colonial society and the nature of bushranging. Bushrangers were no longer escaped convicts but native-born larrikins or settler immigrants. Ned bragged ‘I will let them [the colonial authorities] see what one native [born colonial] can do’ and he spoke of ‘a colonial stratagem, which will open the eyes of not only the Victorian Police and inhabitants but also the whole British army’. The colonial stratagem, which was neither Irish-inspired, nor particularly original given the ‘soft’ nature of the target, was to derail a train. The Kelly Gang, dressed in homemade armour, would then slaughter the passengers. A deliberate terrorist act as a prelude to rob more banks rather than, as today’s Kelly apologists claim, a revolutionary assault against a corrupt and oppressive colonial government. While waiting for the police train to arrive at Glenrowan and crash to its doom over a railway culvert where the tracks had been torn up, Ned, his mates and some of the gang’s pub captives, joined John Jones, the Glenrowan Inn publican’s son, in a rousing chorus of the most popular bushranger song of the day ‘The Wild Colonial Boy’. Later that morning Ned desperate, badly wounded and seeking a bushranger’s death, would confront the police in his ploughshare armour with the song’s defiant words, ‘I’ll fight, but not surrender’, ringing in his ears. Ned and his family belonged to a criminal subculture different in civic attitude and behaviour from the rest of the north-east Irish community. The Kelly shanty was the rowdy meeting place of horse and cattle thieves, bush larrikins and those with a dislike of the police who interfered in their criminal activities. Heavy drinking, gambling, the plotting of crime and the fencing of stolen goods was carried on at all hours. Larrikinism was gang-related and more than just high-spirited teenage pranks. Participation in crime and a stint in prison enhanced a larrikin’s reputation among his peers. Ned had the added prestige of having as a youth ridden with bushranger Harry Power, an Irishman transported for seven years for stealing a pair of shoes. Harry Power was Ned Kelly’s mentor in bushranging but he had a very poor opinion of Ned. There’s young Kelly was with me for a time, but he was no good and helped to sell me at last. They say that he or one of the Quinns dressed up as a black tracker to deceive me. God will judge them for taking blood money. While serving time in Pentridge Gaol for his involvement in the Mansfield Postmaster’s stolen horse affair, the cocky young larrikin, much to Power’s disgust, paraded himself around the prison yard as a bushranging hero. Ned’s flash bush larrikin style, his ‘fist and gun’ assertiveness grew ever more aggressive as his path progressed from pub and shanty fights, and livestock theft to bushranging, murder and outlawry. 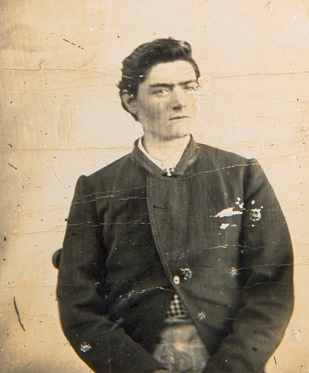 Although, like Ned, native born of Irish parents, Constable Alexander Fitzpatrick sexually assaulted Ned’s sister Kate, lied about what happened at the Kelly shanty and threatened Ned’s mother Ellen with a revolver. (Ned and Fitzpatrick both denied that sexual assault occurred and Fitzpatrick did not draw his revolver.) As a youth, Ned acted as a police informer for Sergeant Babington, was cooperative with Constable Hall, and was a shanty pub drinking buddy of Constable Fitzpatrick, who he said was ‘the only police[man] in the district any [bloody] good’. Ned’s relationship with individual policeman, whether they were Irish or otherwise, often turned to hatred when the affiliation broke down. Ned was under no illusions as to where the north-east community, including the Irish Catholics, stood in relation to his gang. In the Jerilderie Letter he expressed his anger against north-east residents who helped the police. Is there not big fat necked Unicorns enough, paid to torment and drive me to do things I don’t wish to do, without the public assisting them. I have never interfered with any person unless they deserved it and yet there are civilians who take [up] firearms against me. Ned wrapped himself in an egomaniacal sense of moral righteousness and the promise of a terrible revenge. Any person aiding or harbouring or assisting the Police in any way whatever, or employing any person whom they know to be a detective or cad, or those who would be so depraved as to take blood money will be outlawed and declared unfit to be allowed human burial. Their property either consumed or confiscated and them, theirs and all belonging to them exterminated off the face of the earth’. At every crucial point in his criminal career as a horse thief and a bushranger, Ned came across Irishmen. Sir Redmond Barry, the judge who sentenced Ned to be hanged, was of Anglo-Irish descent and a supporter of Irish Home Rule. The policemen the bushranger murdered at Stringybark Creek were Irishmen. The policemen sent out to hunt him down as an outlaw were predominantly Irish and Catholic. 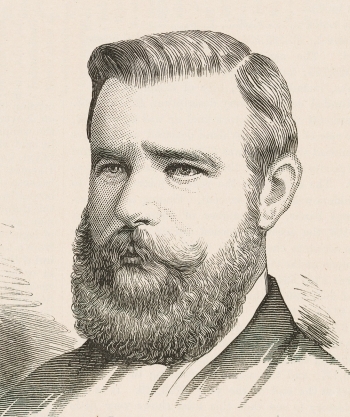 The Victorian Government and Parliament had its fair share of prominent Irishmen. Among them were ‘Young Irelander’ Charles Gavan Duffy and important Melbourne Catholic leader Sir John O’Shanassy, both of whom had been Victorian Premier. 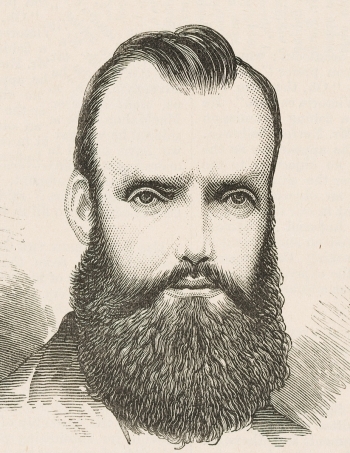 Following the police murders, Eureka Stockade rebel leader and proud Irishman Peter Lalor was a Victorian Parliamentarian who spoke in favour of outlawing Ned and his gang. He later declined to sign a petition to save Ned from the hangman’s rope. Although he was not a Fenian, Ned spoke with an angry tone of Fenian bitterness as he proceeded to rob and plunder those around him. He knew what he did was criminal and not political. Ned used his Irish Catholic underdog status to try and curry favour with the colonial Irish community. To the majority of Irishmen, he was a horse and cattle thief, a murderer of police and a robber of banks, nothing more. Simply being Irish and Catholic was not enough when it came to assessing friend or foe. Without knowing it, Ned intuitively tapped into age-old mythical tales of Irish legendary heroes, clan fights and cattle raids. This more ancient tradition of Irishness resonates with the Kelly Clan’s horse and cattle stealing lawlessness, far better than any romantic notion of a revolutionary Ireland in political and social ferment. Ned was a wild bush larrikin and a professional criminal. He was narcissistic, charismatic and enjoyed throwing his weight around, regardless of the circumstances and consequences to the lives and property of others. He recklessly took the fight to the police camp at Stringybark Creek and attacked from ambush. Three Irish policemen died, Constables Lonigan and Scanlan without a gun in their hand. The Sergeant never moved from the spot where he fell, but complained of the pain he felt from the bullet wound. I should say we were with him nearly two hours trying to get what information we could out of him. He always endeavoured to turn the conversation in the direction of his domestic affairs, his home, his wife and family, and very frequently of the little one he had recently buried in the Mansfield Cemetery, to whom he seemed very much attached. These are Ned’s words relayed by a sympathiser to a journalist. Kennedy’s grieving widow, Bridget, many years later painfully told her grandchildren: ‘Ned Kelly murdered my Michael and robbed his body; there was no mercy, no respect, just cruelty. I lost the child I was carrying after Michael died and raised our children alone’. There can be no excuse for these acts of cold-blooded murder, committed as Ned and his gang looted the policemen’s bodies, burnt the police tent and prepared to leave. Kennedy’s death was an execution, not a mercy killing. Although wounded, Kennedy had survived for two hours; he may well have survived longer. Ned believed that two parties of police were at that moment heading towards Stringybark Creek, so Kennedy’s life might have been saved. As it turned out, the fourth policeman, Thomas McIntyre (also an Irishman), who had no weapon, escaped on Kennedy’s bolting horse and was able to get back to Mansfield. He returned to Stringybark Creek with police and volunteers, including a doctor, within 24 hours. Kennedy, had he been brought back to camp, might have been saved. But Ned had made his decision. He took the policeman’s life in the darkness and falling rain and hurriedly rode away. 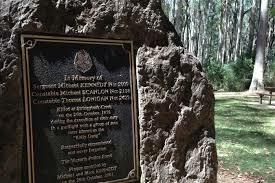 Ned’s admirers say the bushranger placed Kennedy’s cloak over his dead body as a mark of respect for a brave man. It could equally have been placed there from a sense of guilt at having shot an unarmed and wounded policeman pleading for his life. During the Stringybark Creek encounter, Constable McIntyre made an emotional appeal to Ned’s sense of himself as a Catholic, and fellow Irishman by heritage, to spare the lives of Kennedy and Scanlan, but to no avail. I thought he might be possessed of some of that patriotic religious feeling which is such a bond of sympathy amongst the Irish people. My opinion is that he possessed none of this feeling. Like a great many young bushmen, he prided himself more on his Australian birth than he did upon his extraction from any particular race’. 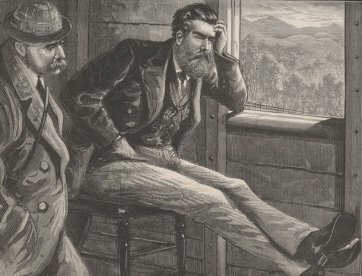 It has been suggested that the Kelly Gang had a plan to establish an Irish style ‘Republic of North East Victoria’ at the time of the Glenrowan confrontation with the police. The evidence put forward to support such a claim is thin and capable of a less colourful explanation. Skyrockets, galloping horses and a few men with guns (who never fire them), do not a revolution make. From a few snippets of information gleaned from the Royal Commission (1881) and an interview he conducted in the 1960s with a Kelly relative, Ian Jones, the best known of Ned’s biographers, has constructed a revolutionary edifice of seething selector rebellion, which he claims was to culminate in a breakaway republic. Jones harbours a forlorn hope that a declaration of revolutionary intent, signed by Ned and his followers, will one day be found to give credence to his fanciful idea of a Kelly Republic. Today, few authors accept that selector rebellion was on the cards at Glenrowan; fewer still believe in the discredited notion of a Ned Kelly Republic. Ned was a good self-publicist and he played the gentleman bushranger and Irish rebel roles to the hilt. That he is regarded as an Irish and Australian hero is due to Kelly myth spin and media fantasy. Ned is remembered because he wore quirky homemade armour and made a last stand fight at Glenrowan against overwhelming odds. People see this in romantic terms as heroic and daring, when the truth was more stark and sinister. The outlaw’s plans were in ruins and he had run out of options: badly wounded and perhaps a little drunk, he decided to attack the police in a last-ditch fight to end the bushranging life he tells us he had grown tired of. Ned always said the police would not take him alive. Yet, when he was wounded and lying on the ground, Ned pleaded for his life to be spared. Constable James Dwyer said, ‘Kelly was trembling with fear [and said], ‘For God’s sake, do not kill me! … Do not kill me, let me live as long as I can.’ I said, ‘You damn wretch, you shot my comrade [Lonigan] and when poor Kennedy was begging [for] his life as you are begging yours of us, you shot him like a dog!’ Dwyer rushed in and ‘made a kick at the outlaw, but missed and struck an end of his iron apron making him limp away with a painful injury on his shin’. The apologetic policeman – who was the son of Irish parents – later said he had kicked at Ned ‘[to show my contempt], having heard he would never be taken alive and seeing his cowardice’. Those of a melodramatic turn of mind saw an evil omen in the death of Justice Barry on 23 November, just twelve days after Kelly’s demise. The truth is Barry was chronically ill and he presided at the bushranger’s trial suffering diabetes, a painful carbuncle and ‘a congestion of the lungs’ that would eventually take his life. On the day of his execution Kelly stood on the gallows, uttered some inaudible last words, which may have been ‘Ah well, I suppose it had to come to this’ and were wrongly interpreted as ‘Such is Life’ before he departed this life. He did not repent of his crimes and he offered no apology to the widows and orphans of those he cruelly murdered. The Kelly Gang were young men of Irish parents and a reckless criminal disposition, who died, not because they were Irish or engaged in rebellion against the English Crown, but because they were habitual lawbreakers. Ned and his gang stand condemned by their bushranging actions, which had nothing to do with being Irish and everything to do with predatory crime. They were murderers and would be mass murderers in a cause of larrikin adventure and criminal notoriety. In July 1880, following the destruction of the Kelly Gang, the Catholic Advocate newspaper voiced the majority opinion of the colony’s Irish Catholics. The Glenrowan tragedy will be long remembered in the annals of Victoria, as the termination of a career of crime almost unexampled in the history of Australia. The terrible fate of the Kelly outlaws was a fitting finish to a career of crime and violence almost without parallel. I cannot help pitying the unfortunate and misguided criminals. Their youth alone excites commiseration, but they richly deserved the fate that befell them. Ned Kelly was not an Irish or an Australian hero, political or otherwise. Why should he be remembered as anything other than the ruthless individual he was? Australian men and women are entitled to celebrate their Irish heritage and the pioneer achievements of their Irish forebears, without Ned Kelly being held up as a nationwide model of colonial Irishness. We should acknowledge the decently lived lives of the many respectable and law-abiding Irishmen and women who were the true nation builders of this sunburnt country, leaving aside the troublemaking likes of Ned and his criminal cronies. Irishmen who do deserve to be remembered with honour and community pride are the Victorian policemen Sergeant Michael Kennedy, Constables Thomas Lonigan and Michael Scanlan, ‘three brave men who lost their lives, while endeavouring to capture a band of armed criminals in the Wombat Ranges near Mansfield on the 26th of October 1878’. The Irish contribution to colonial Australia is much greater than just criminals and convicts. Like Ned, their lawbreaking past may be colourful but is it edifying or desirable as a measure of community identity? Why should Ned Kelly and his romanticised brand of rebellious Irishness be raised to national prominence? The majority of colonial Irishmen and women of Ned’s time viewed their Irishness and their pioneer lives from a more positive, communally inclusive and nonviolent perspective. Irishness and its colonial expression transcend Ned’s skewed version of his Irish heritage. We should not therefore privilege romance over reality when it comes to defining 19th century notions of Irishness in Ireland or Australia. * Doug Morrissey has previously written for Honest History about Ned Kelly (‘The heritage marketing of Ned Kelly‘). He is author of Ned Kelly: A Lawless Life (edited by John Hirst, Connor Court, 2015) which was shortlisted for the Prime Minister’s Literary Awards (reviewed in Journal of Australian Colonial History 2016 by David Kent, pdf supplied by Dr Morrissey), and of ‘Time to bury the Ned Kelly myth’ (Quadrant Online, 2017). Morrissey’s 1987 Ph. D dissertation at La Trobe University was Selectors, Squatters and Stock Thieves: A Social History of Kelly Country. Quotes from Ned Kelly’s Jerilderie Letter can be found in Doug Morrissey, Ned Kelly: A Lawless Life, Connor Court, Ballarat, 2015, pp. 229, 230, 231. Thomas McIntyre, A True Narrative of the Kelly Gang, unpublished memoir (1900), p.46. The manuscript is held at Victoria Police Museum, Melbourne. Ian Jones, Ned Kelly: A Short Life, Lothian Books, Melbourne, 1995, p. 147. Ian Jones, op. cit., pp. 32, 66, 67. Jerilderie Letter quote, see Doug Morrissey, op. cit., p. 231. ‘Convicts and the British colonies’, http://australia.gov.au/about-australia/australian-story/convicts-and-the-british-colonies . Bill Wannan, Australian Bushrangers, Universal Books, Sydney, 1970, pp. 208, 209. Thomas McIntyre, op, cit., p. 23. Jerilderie Letter quote, see Doug Morrissey, op. cit., p.209. Bill Wannan, op. cit., pp. 162, 163. Peter FitzSimons, Ned Kelly: The Story of Australia’s Most Notorious Legend, William Heinemann, Sydney, 2013, pp. 474, 475. Justin Corfield, The Ned Kelly Encyclopedia, Lothian Books, Melbourne, 2003, p. 396. Thomas McIntyre, op. cit., p. 46. Royal Commission on the Police Force of Victoria 1881, Q12871, p. 465. Jerilderie Letter quote, see Doug Morrissey, op. cit., pp. 233. Bridget’s emotive words come from a 2016 interview with Leo Kennedy, the great-grandson of Bridget and Michael Kennedy. Thomas McIntyre, op. cit., p. 23. Ian Jones, op. cit., pp. 200, 201. Ian Jones, ‘A new view of Ned Kelly’, Colin Cave, ed., Ned Kelly Man and Myth, Cassell, Melbourne, 1968, pp. 169, 170, 172, 183. Royal Commission, op.cit., Q9458-9472, p. 342. Doug Morrissey, op. cit., pp. 141, 142. Words taken from the inscription on the Mansfield police monument erected by public subscription in 1880, to honour the memory of Sergeant Michael Kennedy and Constables Thomas Lonigan and Michael Scanlan.